Due to lack of time I'm sharing a mani I wore last week just before I head off to dinner with my darling! 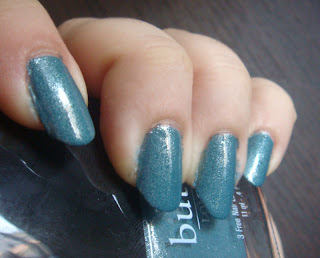 So here is Butter London's Victoriana. I fell in love with this colour when I saw it going around in various blogs, so I had to have it. After wearing it I am loving it even more. The colour was perfectly opaque in one coat but I added another one to make it more intense. But you know me, no matter when I need some glitter in my life. 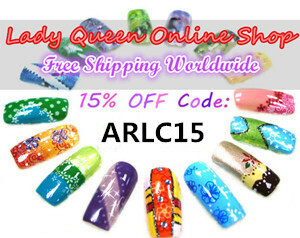 So I decided to layer BYS Adventures of Alice from my latest swap with 'Chelle over a couple of nails on each hand. Even though I used just one coat, it covered Victoriana completelly, but I don't mind, as glitter explosion is definitely my thing! I really liked how the colours looked together and also with a top coat of Seche the staying power of this manicure was fabulous, as it lasted me a full week! I'm off for my dinner date now, will catch up with replying to comments and reading my fav blogs when I'm back. Hope everyone is having a fabulous Sunday! Beautiful layering combo. The Butter London color makes me wonder if my franken that I'll be posting next week is the same color? or very similar? I must get this when I see it around. Victoriana is such a beautiful colour! 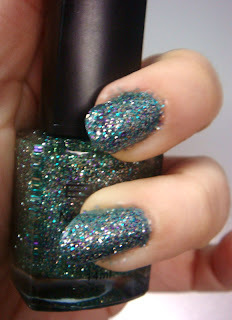 When it is layered with the glitters, it looks a tiny bit like CG Atlantis (or just my imagination?). Wow Victoriana looks just beautiful on you my dear! I can't believe I haven't seen this colour before, what rock have I been hiding under?! The added glitter looks fabulous and I can't believe it wore so well! Oh my, that BYS is so wonderfully glittery! Great choice with Victoriana, too. Glitter explosion is spot on for this! !